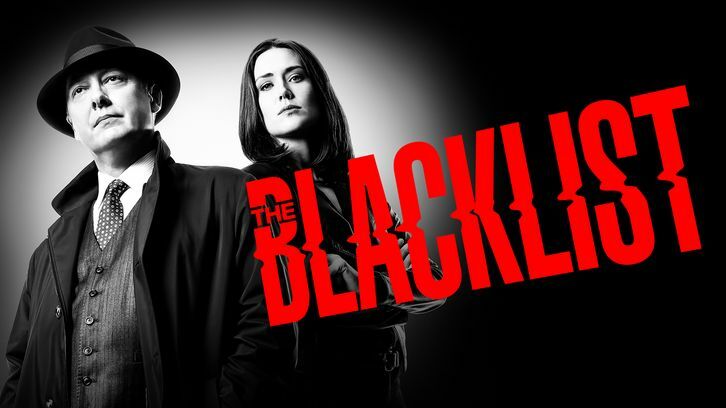 One thing that I love about this season of The Blacklist is that the show has done a fantastic job at finding out a way of tying in the Blacklisters into the main plot, reminding me a lot of how Person of Interest would often tie in its numbers to the overall ongoing story, especially in the later series. This, coupled with Elizabeth and Jennifer's investigation of the fake Red in the background, gives the series a continuous sense of agency as the show trickles down to Red's inevitable release from prison. Both Elizabeth and Jennifer know that they're fighting a ticking time bomb, and there's only so long they can prevent it from going off. This week, the most compelling story was seeing Red acclimatise to life behind prison walls, being put in with ordinary prisoners on his orders to make sure that nobody suspected him of being an informant. But Red soon found out that life in the prison was not going to be easy unless he was at the top, and in true Reddington fashion, he was able to use the Blacklister of the week, in this case a seemingly ordinary couple of Pawnbrokers, to get information that would lead to him taking down the prison's guy in charge. This reminded us once again just how good James Spader can be and how once again, his character is one of the most complex here. Red's decision to sit with Vontae in the prison was on paper, a bad move, but true to Red's form he was able to take maximum advantage of the situation, and it's going to be fun to see how Vontae fits in with the cast going forward hopefully playing a more important role. Will he get out of prison with Red? It seems like an extra ally could come in handy, especially with Elizabeth working behind his back. It's worth pointing out that no information about Vontae's past was shown on screen this week, and Red was able to make the most out of what on the surface looked like a bad situation, always quick to think on his feet as ever. Elizabeth's fake concern for Red is going to come back to haunt her. It's good to see the reactions of the rest of the characters to Red's chances in prison, and Ressler seems to be among the most measured. He's worked with Red long enough to know that Red is always going to come up on top, regardless of the environment that he's in. I have to say that I'm enjoying the back and forth between Red and Elizabeth and seeing Elizabeth work behind Red's back for a change is still refreshing. It keeps the show exciting and unpredictable, and the tension always high as it only takes one small mistake on Elizabeth's part to change everything, especially with Dembe still out there working on the outside to support Red. Samar's predicament is also a worrying one, and how the show resolves this remains to be seen. Her time in the spotlight was interesting enough this week, and her scene with the Uhlmans was a highlight, with her storyline remaining one of the more interesting - and more tragic - B-plots of the season. As much as there would be no show without Red, there would be no show without Elizabeth. We need a counterbalance to Reddington, and the show has turned it into a fascinating conflict between the two, and the complaints about her character are growing incredibly tiring to hear. With Red you know he's going to win no matter what situation he's in, but pitted against Elizabeth, someone who has been incredibly close to him and someone who fills the Clarice Starling role to Red's Hanninbal Lecter? There are so many directions that the show could go, especially if this ends up being the final season (which I hope it isn't). It's hard to see Red ending the show alive if he loses, especially as he's shown how capable he is at handling himself in prison.